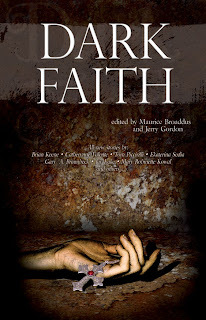 “Faith”. For many it means a belief in the unseen. It can be a driving force behind daily decisions or a nostalgic affectation for appearances only. It can be leaned upon daily, or called upon only in times of need. And, without a doubt, Faith’s power breeds as much violence and destruction as it does healing and comfort. Regardless of race or creed, faith’s pull on human nature cannot be denied. 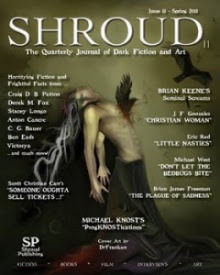 “Ghosts of New York”, by Jennifer Pelland, a haunting story which suggests that remembering our deceased loved ones traps them in Hell; “He Who Would Not Bow”, by Wrath White James, which focuses on a terrifying truth that most believers dismiss: if God exists and is merciful to His followers, by His own rules...He must punish and destroy His enemies; “Zen and the Art of Gordon Dratch’s Damnation”, another skillfully crafted tale by the ever-impressive Douglas F. Warrick, about a man’s road to enlightenment through Hell, and the possibility that “God” NEEDS us to believe in Him; “Go and Tell it on the Mountain”, by Kyle S. Johnston, a darkly-humorous tale validating the existence of God, Jesus...and the futility of an imperfect race like ours EVER joining them in eternity. “You Dream”, by Ekaterina Sedia, a tale about how memory twists and allows us to forget things that have hurt us; “Mother Urban’s Book of Dayes”, by Jay Lake, where a boy dabbles in elemental powers far beyond his ken; “A Loss for Words”, a tale warning against abusing one’s “muse”, because what the muse gives...she can always take away; “The Choir”, by Lucian Soulban, a wonderfully Lovecraftian tale about World War II soldiers persecuted for their lifestyle, consigned to the dank hold of a cargo ship with something that slithers in the dark; and “Days of Flaming Motorcycles”, by Catherynne M. Valente, a different kind of zombie story about a young woman who retains her faith in humanity, even as it crumbles around her. The finest tales of this collection are “Paint Box, Puzzle Box” by D. T. Friedman and “For My Next Trick I’ll Need A Volunteer”, by Gary A. Braunbeck. 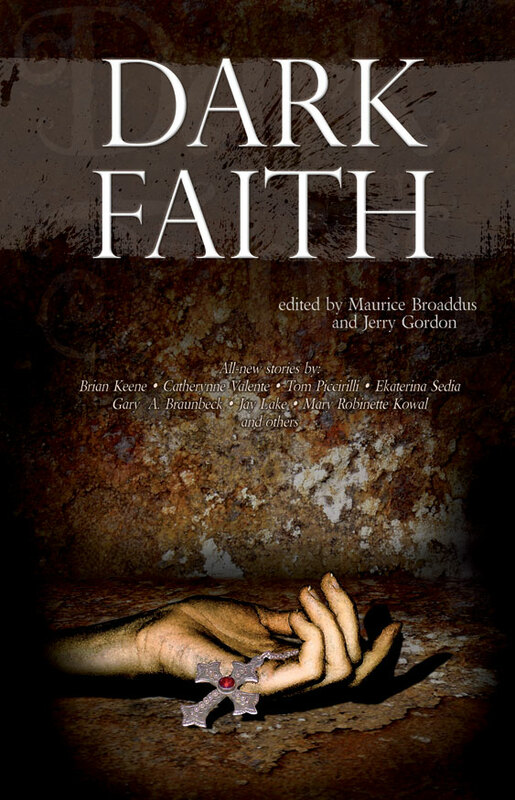 The former makes a wonderful connection between Art and Faith, that the Creator is an Artist, and that each work creates and opens doors to innumerable worlds and realities; the later takes place in Braunbeck’s Cedar Hill mythos, where the ever enigmatic Reverend takes a heavy-hearted Bill Emerson on a reality bending journey to restore his sagging faith. Faith. Light and dark. Terrible beauty and mind-shattering horror. It’s all here, in what’s sure to be one of the year’s best anthologies.